Come aboard of the Remain bus to London for the ultimate march experience. With the official leaving date only days away, this is now or never. 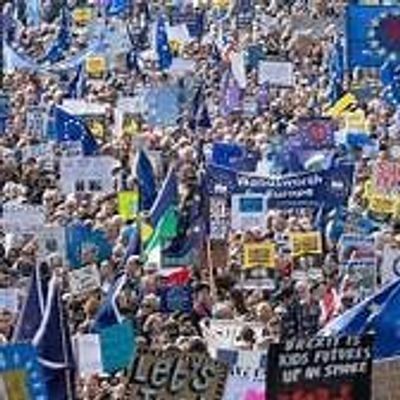 EU in Brum are running coaches from Birmingham city centre and King's Heath to London to the starting point of the march at Hyde Park, and back on the same day. 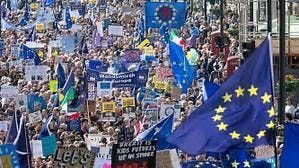 PLEASE ENSURE YOU ARE THERE 15 MINUTES EARLY AS WE NEED TIME TO CHECK YOU IN AND WILL HAVE TO LEAVE PROMPTLY - with or without you - to arrive in London in good time for the march. We will leave London at 5:00pm, so expect to arrive back in Bham around 8:00pm, with the same drop offs: King's Heath and City Centre. Once we have arrived in London (around 10:30am) we will meet with others from our group who travelled by different means at the Achilles statue in Hyde Park, before we will join the march. Unfortunately, and because we are a grassroots organisation solely financed by the generousity of members and supporters, we have to ask you to pay for the Eventbrite fees, too. Apologies for the inconvenience. Due to the nature of Eventbrite pricing we can only offer one type of ticket (to keep the price as low as possible for you). If you want to take your kids, please book the adult tickets you need, then write an email to ZXVpbmJydW1idXMgfCBnbWFpbCAhIGNvbQ== to reserve the seats for your kids. They go free, but if you can donate something to the group for them, that will be very much appreciated. If you would like to join us, but struggle to pay for the fare, please contact us at our email address and we might be able to reduce the ticket price/give you a free ticket. Once you have booked your tickets, please write to ZXVpbmJydW1idXMgfCBnbWFpbCAhIGNvbQ== to let us know which pick-up point you will be using.